The Anderson Area Children’s Choir offers programs for kids in grades K-12. We have a choir program for every grade and experience level! See below to learn more about our different choirs and schedule your audition (or to register for Prep)! 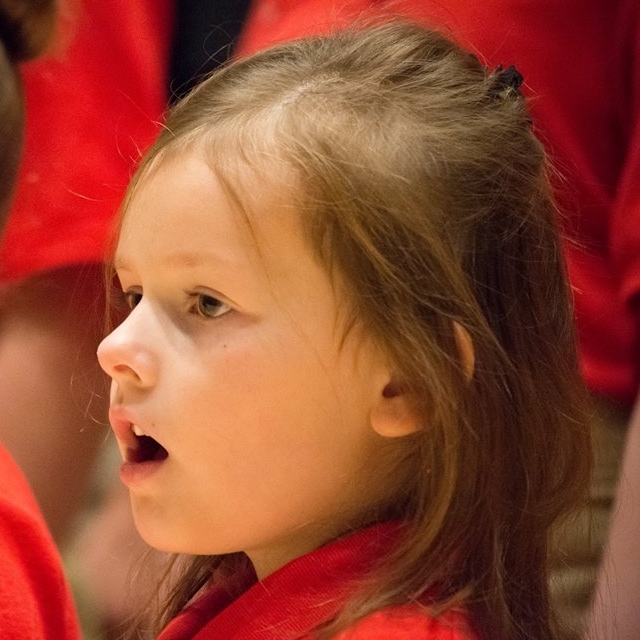 A non-auditioned experience for kindergarten through second-grade students; children are introduced to choral music in the rehearsal setting and take part in a choir where singing, learning, and fun take place. It is an outstanding way to explore their interest in music and singing and the potential for other opportunities in the AACC. The cost is $255 for the year (plus a $30, non-refundable registration fee). This group rehearses 6:15-7:15 pm on Tuesdays. Our beginning-level choir made up of our youngest and least experienced performing singers. In addition to teaching beginning vocal skills, the Kodaly based training in this group will include music reading, music writing, game songs and activities that will enhance the musical growth of young singers. The Concert Choir will perform at the two major concerts of the year (Christmas and Spring) and will participate in a daylong tour in or near Indiana. This group rehearses 5-6:15 pm on Tuesdays. The advanced choir in our children’s choir program. This group will continue to develop vocal skills, and will learn and perform the highest level of literature for children’s choirs. Singers in Chorale will be expected to exhibit excellent preparation, a strong work ethic, a high level of commitment to the program, including maintaining an excellent attendance record at both rehearsals and performances. The Chorale will travel on a spring tour each year for 1 or 2 days. This group rehearses 5:45-7:15 pm on Tuesdays. The Anderson Area Youth Chorale is made up of singers in high school and boys with changed voices. This group will work on vocal technique, musical literacy, and musicianship and perform high levels of choral literature. Members of the AAYC will be expected to exhibit excellent preparation, strong work ethic, a high level of commitment to the program and excellent attendance at rehearsals and performances. The AAYC travels on a spring tour each year for 3-5 days. This group rehearses 5:30-7:45 pm on Tuesdays (split and combined rehearsals).